ST. GEORGE — If you ask the sales department at Canyon Media in St. George how many radio stations they operate, they will tell you there are seven stations. But if you ask the chief engineer of the group, Kelton Lloyd will tell you there are really 21. The seven stations in the group consist of KONY 99.9, Planet 94.1, 95.9 The Hawk, Easy 101.5, Fox News 1450 KZNU, 96X and Juan 104.1 FM. There are 14 other translators as well, Lloyd said, smaller FM stations in outlying areas that retransmit a primary station’s signal to fill in an area that would otherwise not receive the station; and HD radio stations – digital stations that retransmit a radio station in high quality digital sound. They all require just as much care as the main signal transmitters do. Lloyd takes care of all of those stations. From keeping them on the air to making them sound just right coming into your home, he drives thousands of miles a year to make sure the radio station is on the air and sounds good. 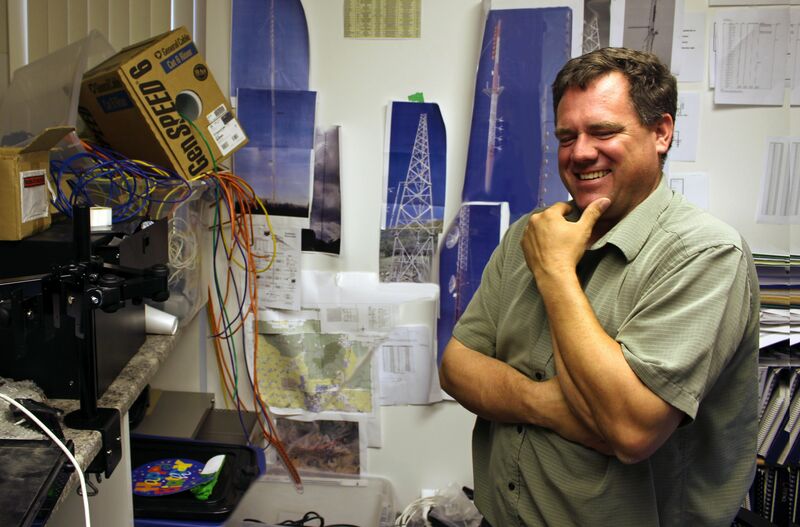 While Lloyd was joking, the life of a chief engineer is not far off from what he describes. It can be a constant battle between fixing immediate problems and performing preventative maintenance. 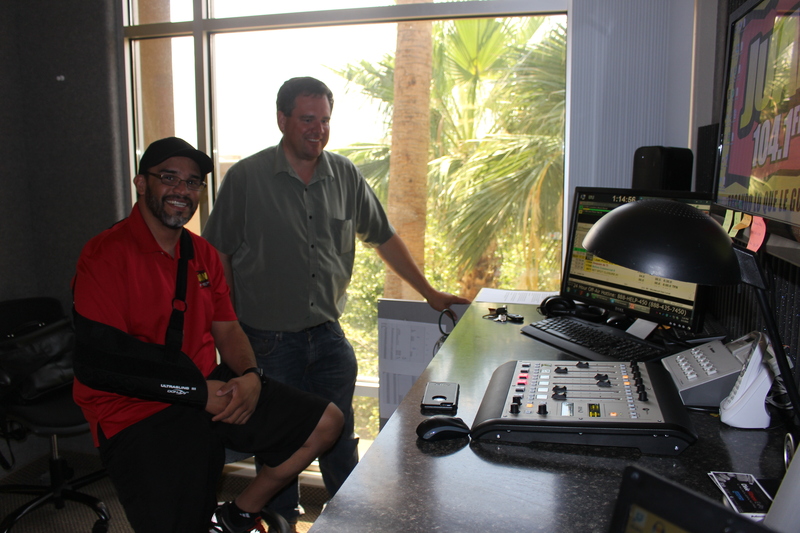 Lloyd started in December of 1993 at what was then KSGI, now KZNU 1450 AM in St. George. Lloyd studied under O’Gara to increase his knowledge of electronics and radio station operation. O’Gara was based in Las Vegas, so Lloyd became O’Gara’s eyes and ears for the St. George operation, taking care of what he could and letting O’Gara keep his base in Las Vegas. Lloyd learned a lot under O’Gara’s tutelage, but sometimes his knowledge came from experience, and that experience was not always positive. By skipping the vital step and not adjusting the power amplifier Lloyd had allowed a mismatch in the antenna line. Power was reflected back into the transmitter burning up the final 25,000-watt amplifier, rendering it useless. He learned quickly what had to be done. Lloyd was hired by Canyon Media in 2004 and began his long run by implementing the design of their then new studios in Washington City on Playa Della Rosita. But when Canyon Media moved to its new studios on South Bluff Street in 2014, Lloyd’s flair for the operation began to manifest itself. “I designed and built most of this myself,” Lloyd said. Indeed. the seven station operation is very well designed and laid out. 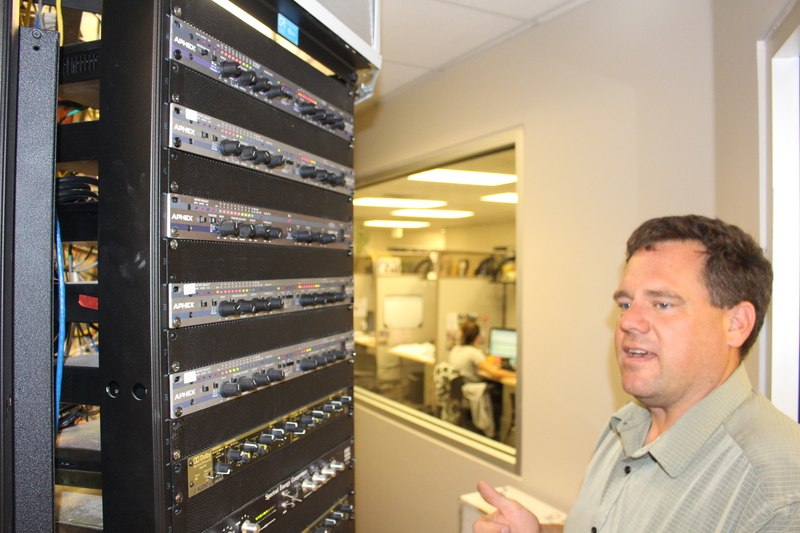 All audio feeds are sent over VoIP instead of analog, not only to the individual studios and engineering room for processing, but to the transmitters themselves. That not only eliminates miles of wiring, it makes it much easier to track down a problem should it occur. The people that use the equipment, the names that are known on the radio, all agree that Lloyd did and continues to do a good job. Pedro Magdiel, morning show host on Juan 104.1 praised Lloyd for his work, as did Amy Chesley, who does the morning show on KONY 99.9 with Carl Lamar and Marty Lane. Labor Day invites us to give “tribute to the contributions workers have made to the strength, prosperity, and well-being of our country,” according to the Labor Department. St. George News brings this “What’s in a job” series of stories over Labor Day weekend to recognize workers whose contributions may go unnoticed, who may be less visible to the general public than others and to unpack some of what goes into everyday jobs performed by everyday people in our communities. Work is a good thing. We honor it and those who do it. St George has the absolute worst radio stations in the country. Songs are cut short and often edited. Playlists are minimal so you hear the same songs over and over. And then there’s KZNU. What a joke. Thank God for satellite radio so one can keep touch with the outside world. St George has the best radio stations in the country . no music is cut short they play the whole song .the Playlists are excellent with plenty of music to listen to. Thank God for St George radio stations and they’re international news. ..the best there is. …Praise the Lord ! Now that is actually very funny! Now that is actually very funny !